In Partnership with the Iconic Buffalo Trace Distillery, a 1982 Bourbon Joins the World’s Most Exclusive Spirits Collection. The Last Drop Distillers, the world renowned team of rare spirit hunters, is releasing a 1982 Bourbon from the award-winning Buffalo Trace Distillery—the company’s 13th release and its very first American Whiskey. With only 44 bottles in existence, 25 of which will make it to the U.S. market, this exceptional Bourbon is an exquisite representation of the Last Drop Distillers’ passion for discovering the rare, exceptional and delicious. The 1982 Bourbon is an opportunity for those to acquire not only an outstanding and unparalleled aged Bourbon, but also to discover the reasons why The Last Drop Distillers travels around the world searching for once-in-a-lifetime spirits and only offers the best of the best. Distilled four decades ago, this unique whiskey is the very last drop of this particular Bourbon from the Buffalo Trace Distillery. At its peak, it was removed from its American oak barrels to avoid over-ageing and to preserve its beautiful composition that gracefully defies its years. On the nose, a hint of marmalade married with coffee is accentuated by the palate of tropical richness and a finish of vanilla notes and oak. Partnering with the Buffalo Trace Distillery to release this rare Bourbon was a seamless decision. Acquired by Sazerac in 2016, The Last Drop Distillers knew they had a partner on many levels, and this collaboration is one of many to come between the two parties. 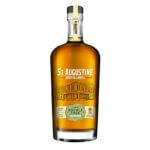 This is The Last Drop’s first release of an American Whiskey but certainly not the last. 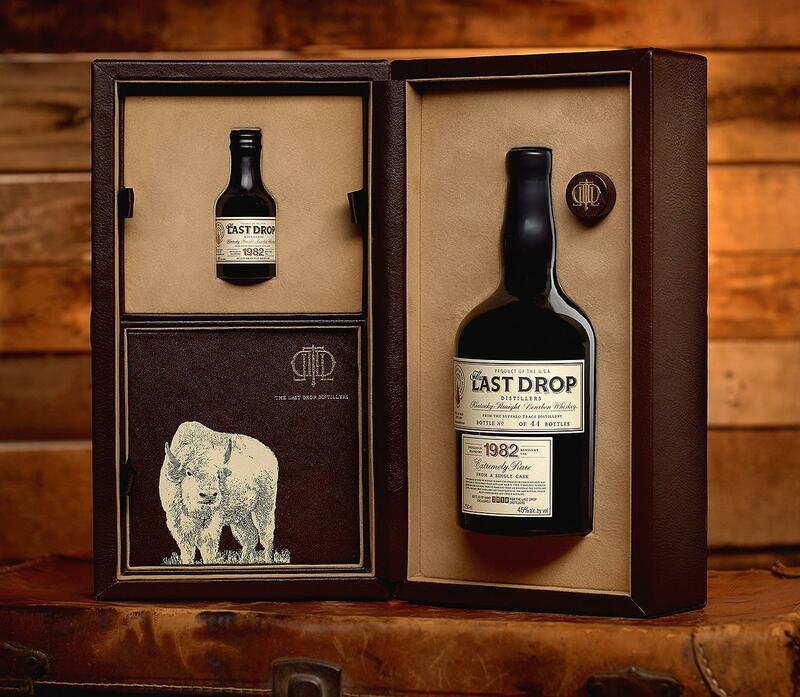 The fact that it hails from the world-famous Buffalo Trace Distillery is a point of pride for The Last Drop team. 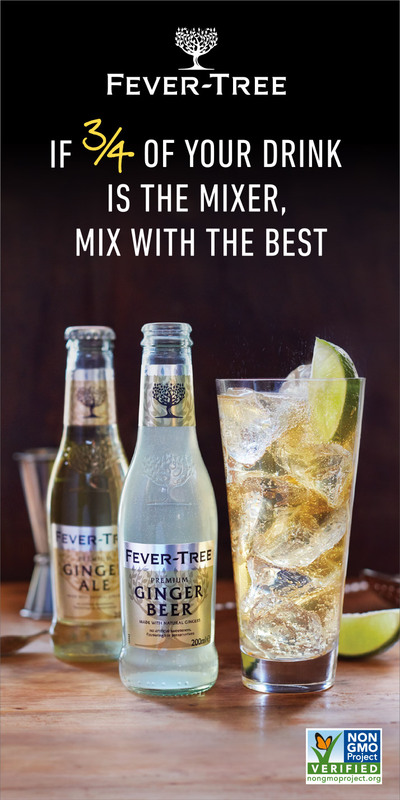 The distillery’s reputation for distilling world-class spirits was paramount to The Last Drop putting their seal of approval on this outstanding liquid. Beyond this 1982 Bourbon release, The Last Drop Distillers and Sazerac are working together to change the future of aged American-crafted whiskies. 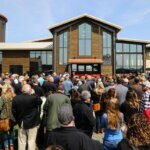 The Last Drop is bringing controlled, low temperature long-term aging techniques to Kentucky with its just opened, experimental refrigerated Warehouse P at the Buffalo Trace distillery. By keeping their new Warehouse P at a consistent 45 °F year-round to slow the aging process, the Last Drop hopes to create delicious American Bourbons and Ryes older than any on the market, including their 1982 Bourbon, as the perfect addition to their luxury portfolio of aged international spirits. The founding principle of The Last Drop Distillers is to bring exceptional and unique aged spirits and wines to aficionados and collectors from around the world with an affinity and respect for the finest drinks. A one-of-a-kind spirit, the 1982 Bourbon is a glimpse into the past, a reminder of the outstanding skill and artform of distillers and blenders from those years, and a tribute to what a magical time the 1980s were. In the same year the Bourbon was distilled, Michael Jackson’s Thriller was the biggest selling album, E.T hit the box office, Sony launched the world’s first CD player, and the Computer was named Time Magazine’s Person of the Year. In the years that followed, music tastes changed and so did technology, but The Last Drop’s 1982 Bourbon has remained untouched. It is an exquisite reminder of why some things should stay the same, from an era 40 years ago. 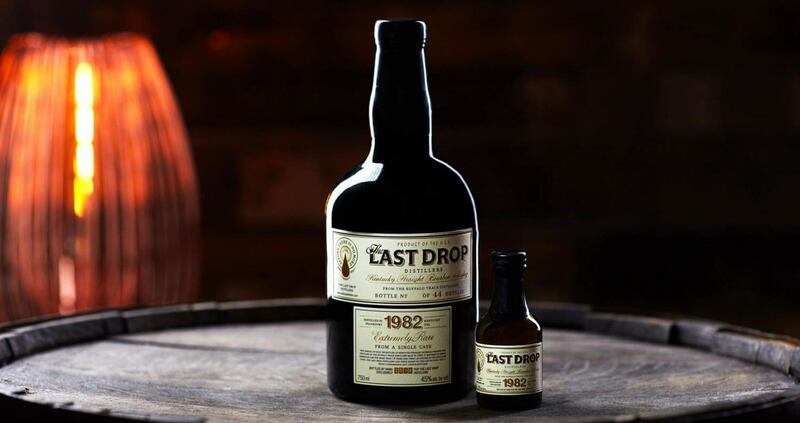 Founded by industry geniuses Tom Jago and James Espey in 2008, and now led by their talented daughters, Rebecca Jago and Beanie Geraedts-Espey, the Last Drop Distillers continues its quest to uncover, and bottle the world’s finest and rarest of spirits. 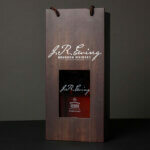 As with all of The Last Drop releases, the 1982 Bourbon comes together with its signature 50ml miniature replica and pocket-sized tasting book with additional pages for personal tasting notes. Retailing for an MSRP of $4,000, The 1982 Bourbon will be available upon request at select Fine Spirits and Wine Merchants nationwide. 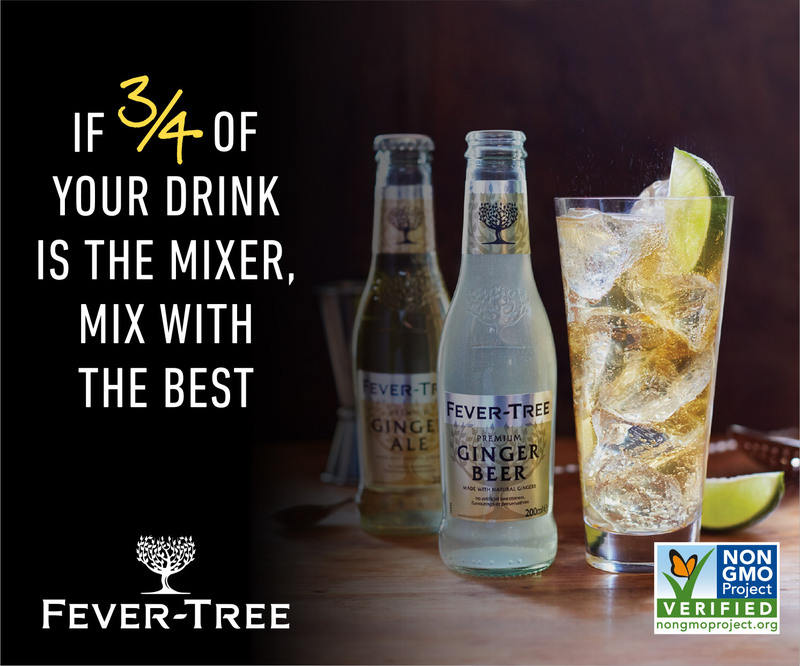 For more information, visit LastDropDistillers.com.